Pfzier delayed another increase, which would have been the second this year and fourth in 18 months. Despite billions in Trump-GOP tax cuts, the drug company’s prices are still too high. WASHINGTON, D.C. – After pharmaceutical giant Pfizer hiked the prices of more than 40 of its prescription drugs on July 1, Pfizer announced yesterday it would defer those price increases until President Trump’s vague promises of curbing drug prices are put into action. Pfizer’s move last week to increase prices drew criticism from both President Trump and Americans for Tax Fairness, which pointed out that Pfizer was making medications more unaffordable after receiving an estimated $25.5 billion tax cut on its nearly $200 billion in untaxed profits held offshore and a $1 billion tax cut on 2018 profits from the Trump-GOP tax law. Pfizer suddenly reversed course after Trump publicly attacked the price hikes on Twitter. But even without this latest round of increases, the cost of many of Pfizer’s drugs has soared in recent years. The price of Pfizer’s top-selling drugs, including Lipitor, Celebrex, Neurontin and Zoloft, has been raised by about 30% on average since just before Trump took office, according to data from Pharmacy Benefits Consultants. 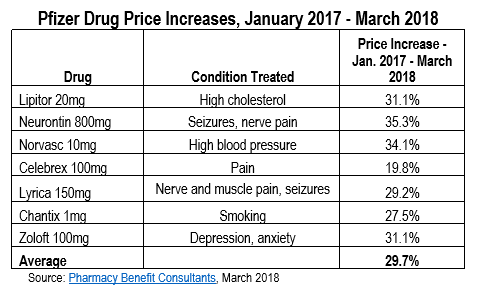 The increases announced this month would have been the fourth round of price hikes since the start of 2017, beginning with increases in January and June of last year that raised the prices for many of its drugs by an average of 20% for the year. In January 2018, Pfizer further upped the prices for 116 of its drugs by up to 9.5%. Due to the Trump-GOP tax cut law, Pfizer is projected to get a $25.5 billion tax cut [Table 2] on its $199 billion in accumulated offshore profits on which it has not paid any U.S. taxes, according to an analysis by the Institute on Taxation and Economic Policy and Americans for Tax Fairness. The new tax law requires corporations to pay a one-time tax on their accumulated offshore earnings—whether they bring them home—at a steeply discounted rate of just 15.5% on cash and a mere 8% on non-cash assets. It is estimated Pfizer owed $40.7 billion on those profits at the U.S. corporate tax rate of 35% less foreign taxes paid. Days before the final passage of the Trump Tax Cuts, Pfizer’s board approved a $10 billion increase to its stock buyback program. In the 1st quarter of this year, Pfizer has already spent $6.1 billion on stock buybacks. Stock buybacks mostly enrich the already wealthy, including CEOs, because rich people own most corporate stock: the wealthiest 10% of American households own 84% of all shares, the top 1% own 40%. The price hikes come just a month after President Trump claimed that major drug companies would be announcing “voluntary massive drops in [drug] prices within two weeks.” No such announcement has been forthcoming. In fact, more than 50 drug makers have raised prices since Trump’s announcement, according to the Elsevier Gold Standard Drug Database (as reported by Marketplace). 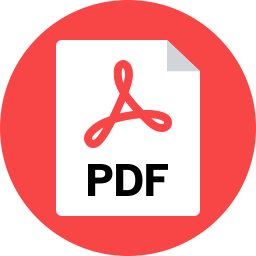 A Wells Fargo report found 104 price increases in June and the first two days of July, with an average jump of 31.5 percent and a median increase of 9.4 percent. That followed 48 increases in May. The list price hikes don’t factor in discounts that companies may provide to some insurance companies and patients.